This group Started in the Morrisania section of the Bronx in New York in 1954. They would get together in the basement of the apartment house in which Arthur Slaughter lived, imitating the groups with the popular songs of the day. 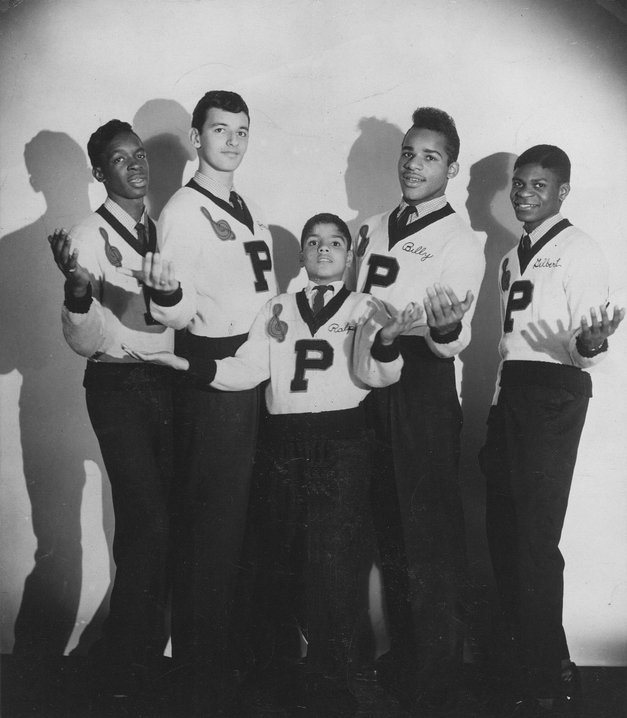 While Slaughter was at Morris High School in 1957, he started cutting classes and handing out in the halls in order to sing harmony. He Began assembling a vocal group. When finally structured, the group members were all fifteen years old except the lead - twelve Year old Ralph Molina - And they integrated as well. They performed at school functions and other benefits until they felt ready to seek out a recording deal. In 1959, they called on Old Town Records, where they were redirected to the offices of Safari Records. Safari management liked them and their high tenor lead songs but told them to go home and write some original tunes and then return. They did just that and returned weeks later for a recording session at Bell Sound. For "Woe Woe Baby" and "Yours To Command", the Safari Label showed "The Personalities-Featuring Ralph Molina", deciding to spotlight the Lead Singer. They received no payment for the session, no royalties, and nothing for live appearances. Yet Safari management stated that the tune did well. This was a relatively later group from the Morrisania section of the Bronx. Mitch Rosalsky "Encyclopedia of Rhythm and Blues and Doo-Wop Vocal Groups"